It seems as though ever since human beings have had material possessions to risk, they have been throwing their lot in with Lady Luck in pursuit of the thrill of “easy” wealth. Indeed, as far as back as the ancient days of the Chinese and the Romans, people have been courting the gambling gods (they literally believed such outcomes were related to the whims of the immortals), so it is no surprise that this activity is widely enjoyed by most cultures around the world today. What follows are a series of factoids from across the ages demonstrating the prevalence of this thrilling and potentially profitable activity … so do sit back and enjoy the show! When Jesus Christ, the luminary of Christianity was executed by crucifixion back in the early 1st century, the Roman guards that oversaw his death were at loggerheads whilst trying to decide how to divvy up the robes he was dressed in during the proceedings. They eventually decide to cast lots to see who would win the macabre souvenir, which consisted of throwing knuckle bones and seeing which side flopped upwards. 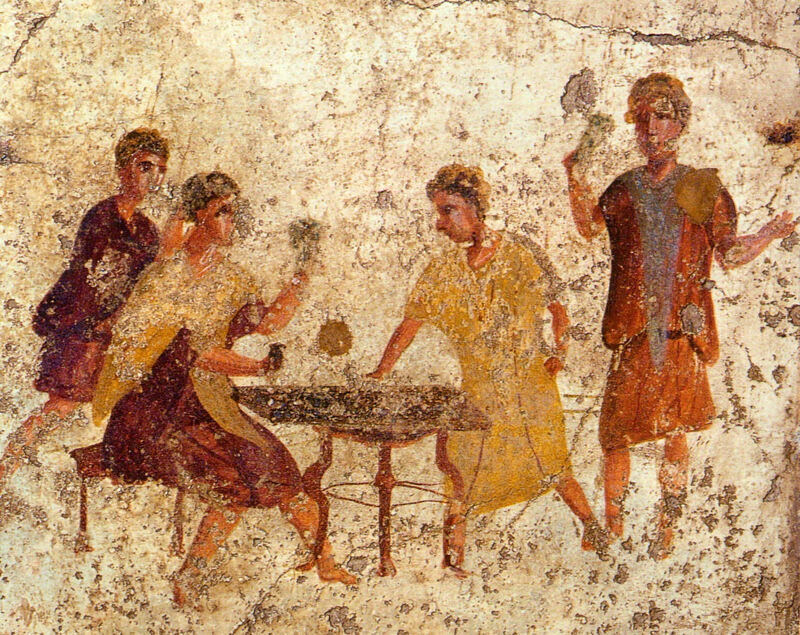 While many empires, republics and other civilizations tried to restrict and prohibit gambling, it simply didn’t stop those determined enough to bet on two flies crawling up a wall. As such, governments sought to capitalize of this societal tendency rather than drain their resources trying to control the impulses of the people. They started doing this in China with the first organized lottery known as Keno, with other governments following suit in the ensuing centuries. The odds then, as now, were laughably thin to ensure a large windfall for the authorities, but the lure of large grand prizes have kept the masses playing for years as an easy ticket out of the financial related problems that constantly found themselves mired in. Richard Nixon was a polarizing figure in American politics, especially considering his fall from grace due to the Watergate scandal in the 70’s. He was a skilled operator in these shark-infested waters throughout his life though, a skill set heavily dependent on reading and manipulating matters of human psychology, which also can coincidentally make for an excellent poker player. It turns out Mr. Nixon was as sharp on the felt as he was in the arena of U.S. politics, as he played the game so well in his navy days, he managed to amass a bankroll of $6,000 (almost $60,000 in 2014 dollars). He used the funds to propel himself to victory in a congressional race shortly thereafter, starting his path to the White House. The story of certain things may bore some people. With gambling being associated with money, glamour and quickly made fortunes though, the history of gambling is one anthology that is studded with many fascinating tales!